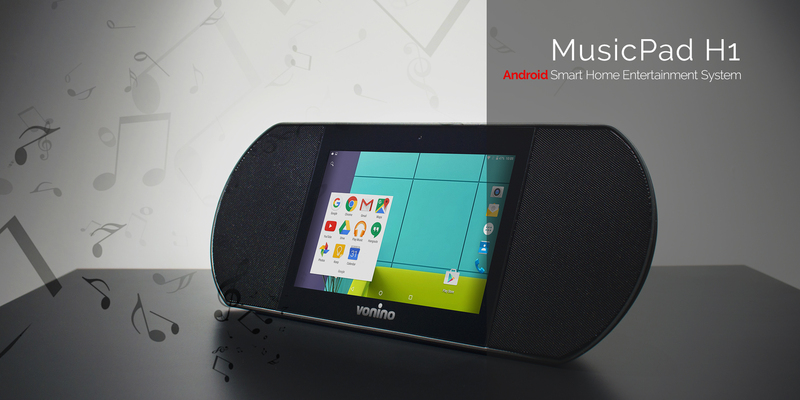 Vonino MusicPad H1 takes entertainment beyond your smartphone or tablet. At just one tap away, Vonino gives you an android smart home entertainment system that also has a minimalist and slick design which will fit perfectly with any home or office. Even if you are at home, at the office or in holiday, MusicPad H1 gives you free access to over 30 million songs through various music streaming services. To cover up any possible scenario, MusicPad H1 also comes with YouTube Kids preinstalled. 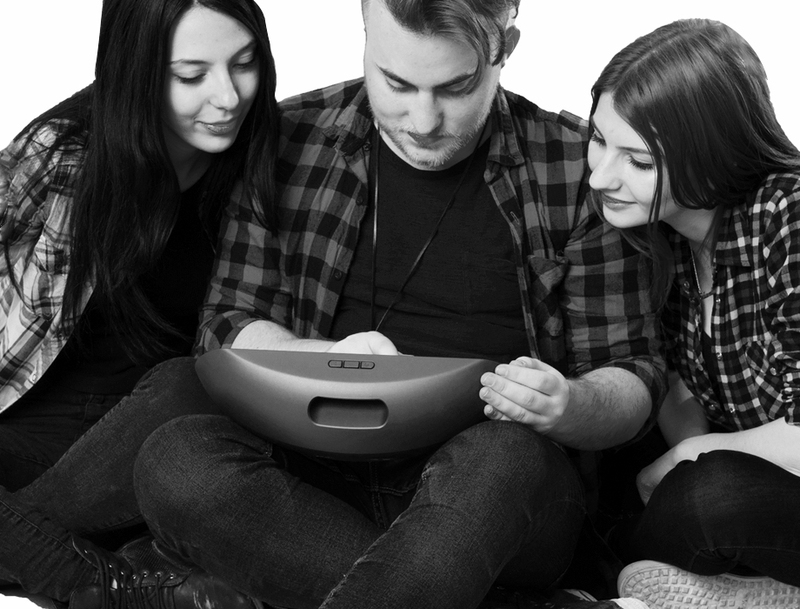 Vonino MusicPAD H1 extends entertainment beyond smartphones and tablets. 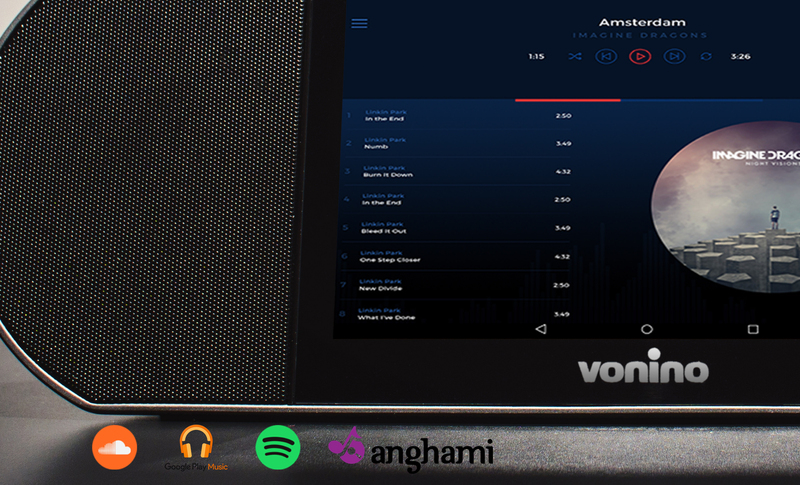 MusicPAD H1 offers free access to over 50 million songs through SoundCloud, Anghami and more. Children get the preinstalled YouTube Kids app. Based on the idea of ​​smart devices MusicPAD H1 provides access to all Google applications, the most important being Google Play, through which you get access to over 1 million app, games, books and many more. Being a portable device MusicPAD H1 has a built-in Li-Ion battery that provides 7 hours of audio streaming, 6 hours of Bluetooth streaming or 3 hours of video streaming. Connect your MusicPAD H1 via HDMI or Screen Cast to the living room TV and you will have your own home cinema. With the Bluetooth streaming function you can listen to music stored on your smartphone through two stereo speakers of 5 watts each. The same feature allows you to transmit your mobile videos on your MusicPAD H1. I use it in my kitchen to watch and listen to culinary shows! Also when I work out, I use it to listen my favorite songs. The sound is great. You can set your playlists and listen anywhere in your house. You need access to Wi-Fi.